Video options abound, particularly given its growing influence on content marketing success. If you’re thinking video is best done on social media channels, you may not reap the biggest benefits. You need to create videos for your website. To make that pitch to your brand’s executives, read on and grab some stats to support your case. Plus, explore a way video can become a revenue stream for your business. Companies incorporating video content in their marketing strategy see 41% more search traffic than businesses without video, according to an Aberdeen study shared by HubSpot. It’s not surprising. 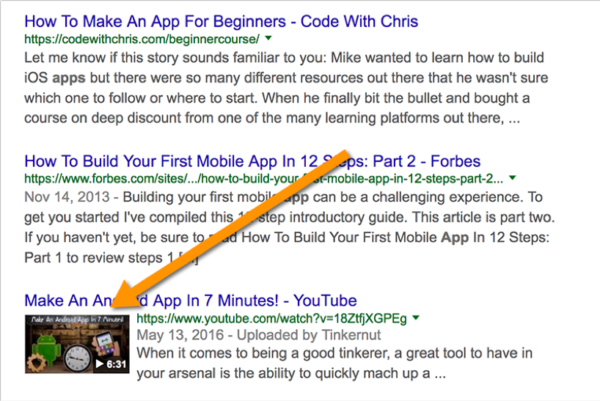 Videos often stand out in search results thanks to the rich snippets. They attract a lot of clicks even if they don’t rank in the top three. Adding video to your site isn’t a “a fashion accessory, it’s a ‘must-have’ … for every commercial website,” according to EyeView, a video solutions agency. But that doesn’t mean just posting any video on any page and expecting a return. 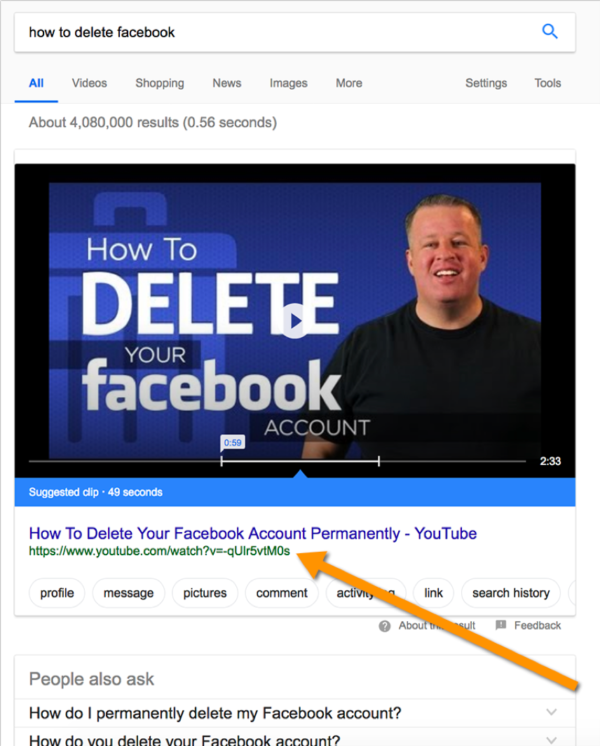 “If you’re going to add video to your site, you must determine whether it is … effective at driving site visitors to your conversion goal,” the EyeView author writes. EyeView’s case study shows pages with video converted 80% more in some cases than pages without video. Webprofits added a video to the landing page and saw the increase in conversion rate by 16.4% at a 90% confidence rate. Conversionxl shares a case study where a video on the landing page achieved an increase in conversion rates by 79.3%. Content marketing can be a tough sell to executives who are interested in its direct relationship to selling. While video’s ability to bring in more clicks and increase leads through conversions is awesome, it also positively affects customers’ buying decisions (and your company’s bottom line). Usually free to join, these hosting sites retain a good portion of the course income (as much as 70% based on my experience). The platform dictates structure, pricing, and promotion. This solution works OK for those doing their first course because it doesn’t require an initial investment (apart from video creation) and it can be a great way to test your idea and concept. Possible tool: Udemy is a well-known platform that offers a free solution for video course hosting. It doesn’t give much freedom to content creators. If you want to retain all revenue and have more flexibility, monthly subscription hosting platforms are a great option. Once you recoup the monthly charge, whatever you sell is your income. Possible tool: Uscreen offers an array of course marketing opportunities for $99 a month. Design courses as you want, add your branding, use your own domain, and use marketing automation and email marketing features to engage more students based on where they are in the course. You can also create and market a standalone app for your video course, creating new discovery (through app stores) and engagement channels for your brand. You also can use build-it-yourself solutions that incorporate self-hosted videos and self-integrated WordPress plug-ins, as well as WordPress learning management system themes. Only take this route if you work with a reliable developer because of the setup and components involved. Possible tools: This colorlib post details a solid collection of WordPress learning management system opportunities. Video isn’t just for social media feeds. Using it on your site offers many opportunities that can bring bigger success for your content marketing strategy. It takes time to create and implement a strategic video component, but now you can make the case for why it’s worth that investment. 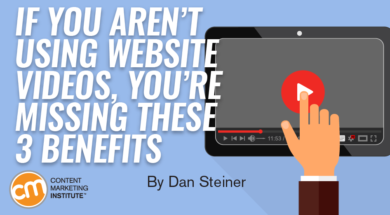 Have you been using video content on your site lately? Please share your favorite tools and tricks in the comments. Sure, you can catch Content Marketing World with on-demand video, but why not opt for the live experience? Register today to join thousands of your fellow marketers Sept. 4-7 in Cleveland, Ohio. Use code BLOG100 to save $100.